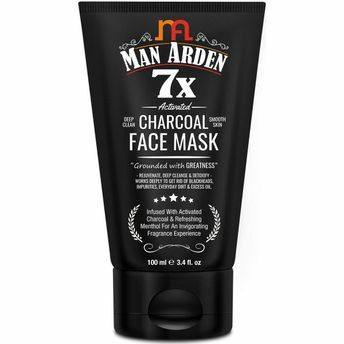 Indulge your skin in detoxifying ingredients and wholesome nutrients with the Man Arden Activated Charcoal Face Mask. It clears dead skin cells thoroughly while retaining skin balance and hydration for that perfect glowing and refreshed feeling. The activated charcoal mask with vitamin C and menthol is well-loved by many beauty experts. It's nourishing and ultra effective wash off formula deeply cleanses while purifying the skin of impurities, dirt, oil, and acne. Experience softer skin and a brighter complexion with regular use of the deep cleansing black facial mask. Your skin oil balance will be improved and complexion will look firmer and cleaner. 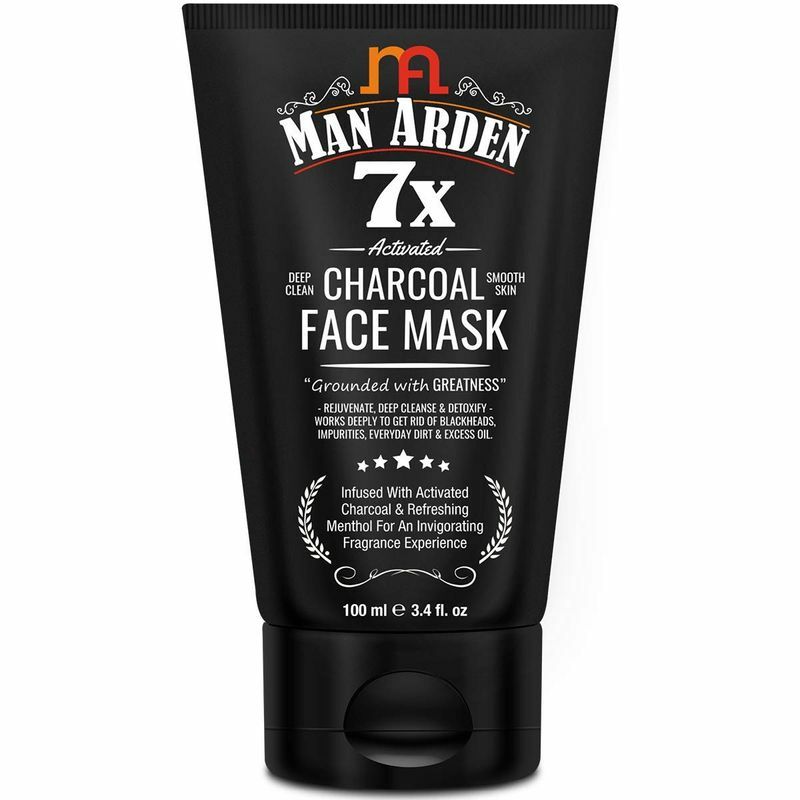 Man Arden Activated Charcoal mask works well for most skin types, including oily, combination, normal, and dry. Enriched with green tea extract, goji berry, ginseng root extract, vitamins E, C, B3, B5 and oils of evening primrose, organic olive oil and sunscreen agents - zinc and titanium and the refreshing spearmint fragrance with menthol can surpass the benefits and results offered by any other mask. It is an ideal option when your face needs deeper cleaning than your usual facial cleanser provides. The activated charcoal helps attract dirt and other debris to the surface of your skin, so it can be easily removed.